On the Valentine's/Family Day weekend, some friends of ours were visiting from Ottawa. One, who shall be called C, stayed an extra couple of days so that we could see a Ben Folds concert (which was pretty awesome, by the way). The concert was on a Tuesday, and since the boyfriend had to work all day, C hung out with me for most of the day, following me on my errands and everything. We just happened to pass by the Yonge-Eglinton mall where there's a Mary Maxim, and since I can't resist a yarn store, we dropped in. C decided that he wanted to buy some yarn so I could make him a nice scarf, so we looked through the whole store, finally deciding on a nice variegated blue and brown. None of the colours really show up as well in the pictures as they look in real life, but that should give you some idea. 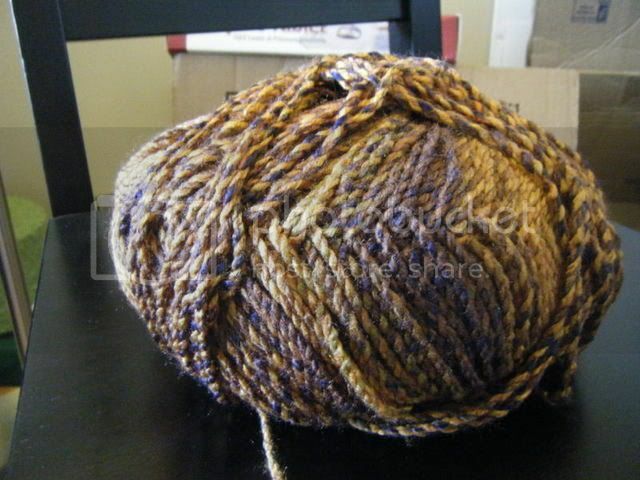 I had a bunch of the yarn left over (turns out a 200g ball is really big!) 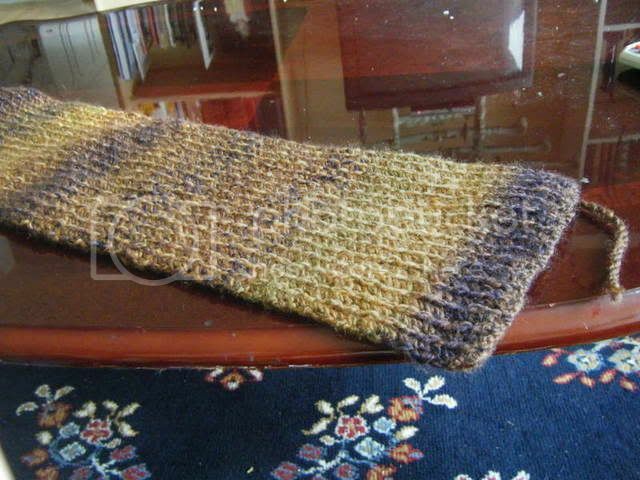 so I'm also making a simple toque with the same 1x1 ribbing pattern. I'll have a picture of that when I'm finished. I'm also currently working on this gorgeous sweater from Knitty. 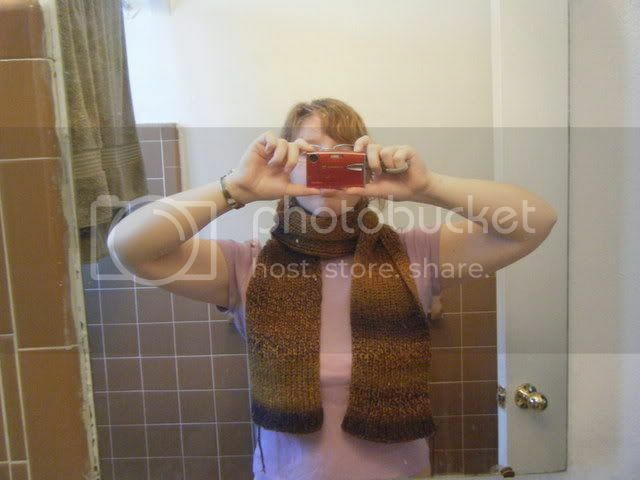 I have one more sleeve to knit up, then I have to sew the whole thing together and block it. I'm really excited about it. The yarn I'm using is a beautiful purple, and I'm sure it'll drape wonderfully when it's blocked. I'll post pictures of that too when I'm finished.